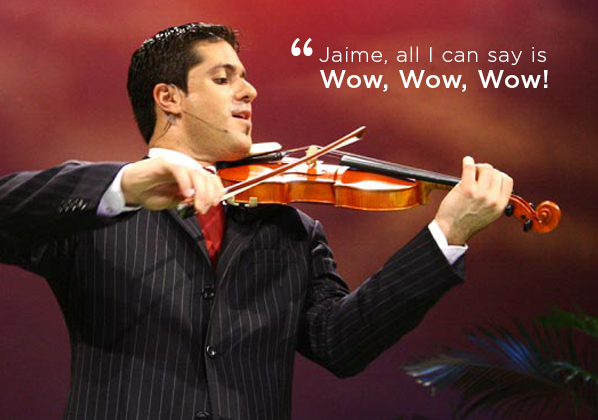 Born in Cuba in 1970, Jaime began violin studies at age five. When he was ten, Jaime’s family immigrated to the United States and he began lessons with the eminent violinist Cyrus Forough, a student of the great David Oistrakh. Jaime’s mom wanted him to be a violinist, but he dreamed of becoming a missionary doctor. When he entered college in 1988, he began to take all the pre-med courses, in order to prepare to go to Medical School. In 1992, Jaime was accepted into the University Of Illinois Medical School, but into his second year of Medical School, Jaime felt the Lord’s call to leave medical school for a life of service dedicated to music ministry. The rest, is history in the making, for God’s honor and glory.